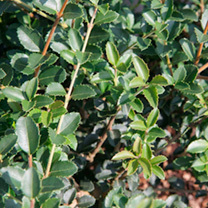 With highly scented small white flowers that are in clusters, this medium-sized evergreen shrub is dense and quite a slow grower. It has rounded or ovate rather dark green leaves that are about 2.5cm long, also producing berries that are blue to black in colour. Height 2-6m. Suppled in a 7.5-10 litre pot. 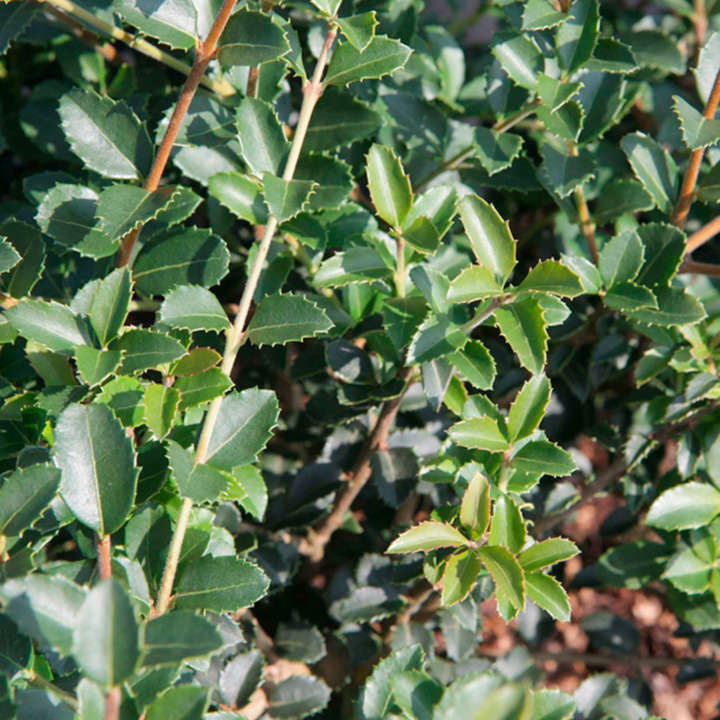 With highly scented small white flowers that are in clusters, this medium-sized evergreen shrub is dense and quite a slow grower. It has rounded or ovate rather dark green leaves that are about 2.5cm long, also producing berries that are blue to black in colour. Height 2-6m. Suppled in a 3 litre pot or 7.5-10 litre pot.